E=mc² asserts that the energy (E) in an unmoving particle is equal to the square of the speed of light (c²) times the mass (m) of that particle. The complete form, when applied to moving objects, is E²=(mc²)²+(pc)², where p represents momentum, It is a statement that purports to relate all matter to energy. In fact, no theory has successfully unified the laws governing mass (i.e., gravity) with the laws governing light (i.e., electromagnetism), and numerous attempts to derive E=mc² from first principles have failed. Political pressure, however, has since made it impossible for anyone pursuing an academic career in science to even question the validity of this nonsensical equation. Simply put, E=mc² is liberal claptrap. The formula asserts that the mass of an object, at constant energy, magically varies precisely in inverse proportion to the square of a change in the speed of light over time, which violates conservation of mass and disagrees with commonsense. Physicists have never been able to unify light with matter despite more than a billion-dollars-worth of attempts, and it is likely impossible to ever do so. Biblical Scientific Foreknowledge predicts that there is no unified theory of light and matter because they were created at different times, in different ways, as described in the Book of Genesis. Mass is a measure of an object's inertia, in other words its resistance to acceleration. In contrast, the intrinsic energy of an object (such as an atom) is a function of electrostatic charge and other non-inertial forces, having nothing to do with gravity. Declaring the object's energy to be a function of inertia rather than electrostatics is an absurd and impossible attempt to unify the forces of nature, contrary to the accepted view (as predicted by Biblical Scientific Foreknowledge) that the forces of nature have not been unified. Liberal scientists assert the formula E=mc² is not limited to nuclear reactions; it applies to chemical reactions and even to the energy stored in a compressed spring. The claim that E=mc² has never yielded anything of value and it has often been used as a redefinition of "energy" for pseudo-scientific purposes by non-scientific journals. Claims can be found not only on liberal, second-tier college websites but at those of Baylor and the MIT that the equation is used in nuclear power generation and nuclear weapons (nuclear fusion and nuclear fission) and about antimatter. 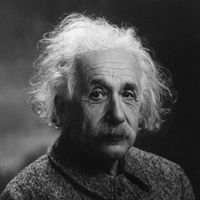 The Theory of Relativity has never been able to mathematically derive E=mc² from first principles, and a physicist observed in a peer-reviewed paper published in 2011 that "Leaving aside that it continues to be affirmed experimentally, a rigorous proof of the mass-energy equivalence is probably beyond the purview of the special theory." Nevertheless, Robert Dicke - one of the most accomplished American-born physicists and experimental physicists in history - found it unlikely that the equivalence was wrong. The equation is extremely famous, and just as extremely misunderstood, in popular culture. Among the more outlandish claims are statements to the effect that "E=mc² holds the secret of the atomic bomb." The equation has acquired something of a "cult" status. In the USA, the popular Twilight Zone series featured E=mc² prominently, giving the equation greater currency with the public. The song Einstein A Go-Go by the band Landscape had a similar effect in the UK in the 1980s. The equation was the title of a single by Big Audio Dynamite in 1985, and an album by Mariah Carey in 2008. Some movies have been themed on this equation. The equation, along with a picture of a mushroom cloud and a picture of Albert Einstein, were featured on the front cover of an issue of Time magazine in 1946. All of this is disappointing when one considers how few people actually understand what the equation is saying. Of these, only the Sheldon Glashow quote makes a specific and meaningful statement about what the equation means. The equation is about energy, both kinetic energy and potential energy. Kinetic energy is actual visible energy, that is, energy of things that are in motion. It's the energy of a thrown baseball. Radiation (for example, light) also counts as kinetic energy—it's the motion of photons. Light carries energy, force, and momentum. The force carried by light is not as obvious as the force of a thrown baseball, but it is there. The force of sunlight has been proposed for long-term space travel. It is also the force that causes the Pioneer anomaly and the force that makes a comet's tail stream away from the Sun. Potential energy is the other kind—"hidden" energy. It can become kinetic energy, or vice-versa. A wound up spring, a charged battery, a stretched rubber band, a mixture of gasoline and air, an explosive, and a radioactive atom, all have potential energy. It's what is needed to make the principle of conservation of energy work. That is, when kinetic energy comes into existence, it's because potential energy was converted into kinetic energy. The wound-up spring of a clock has potential energy, that runs down over time, being converted into the kinetic energy of the ticking sound. A battery has potential energy that runs down when it provides electricity to make things move. Various chemical substances have characteristic amounts of potential energy, that may be converted to or from kinetic energy when chemical reactions occur. For example, Sodium and Chlorine have more potential energy than Sodium Chloride. Explosives have more potential energy than their constituent atoms. Radioactive atoms have more potential energy than their "daughter" atoms. Total energy (kinetic + potential) is always conserved. Hundreds of years of research by chemists (and, before that, the alchemists) worked out the potential energies that are characteristic of various substances, and that the potential and kinetic energies are accurately converted from one to the other, leading to the principle of conservation of total energy. An interesting fact is that, normally, one considers only changes in potential energy; one doesn't need an absolute scale. A rock at the top of a hill has more potential energy than after it rolls to the bottom of the hill, but the energy at the bottom isn't necessarily zero. We could dig a hole and let it roll down farther, with its energy going negative. Only changes matter. Now it turns out that, once one accepts the implications of E=mc², one could assign an absolute potential energy to something—its mass times c², and changes in potential energy would work out correctly because of the mass changes. But that isn't necessary, and, in any case, it would require accepting E=mc² and would therefore be getting ahead of the story. That is, it weighs something. Whenever anything has potential energy of any kind in it, improbable as this may sound, it weighs more. The proportionality constant is 1/c2, or 1.11 x 10−17 kilograms per joule. A fresh battery weighs more than a spent one, a wound-up alarm clock weighs more than a run-down one, etc. Now that's way too small to measure for anything other than nuclear reactions, which is why it escaped everyone's notice for so long. But it has been measured and experimentally verified for nuclear transformations all across the periodic table. There's an interesting parallel with heat. Before the rise of thermodynamics, it was believed that heat was a "substance". That substance was called "caloric". When heat travels from one body to another, what was really happening was presumed to be a transfer of caloric. Much effort was put into measuring the mass of this mysterious "substance". It was always found to be zero, and we now know that what is actually being transferred is thermal energy. So it is not unheard-of to assign mass to intangible properties. Galilean relativity, that is, the notion that there is no absolute frame of reference. Keep in mind that, under special relativity, it's not just space and time that need to be redefined. The definitions of momentum and energy need to change also. This is necessary so that the conservation of energy and of momentum will be absolutely precise in all circumstances. One can verify that, in the non-relativistic limit, the relativistic values converge to the classical ones. It is this requirement, and some "gedanken experiments" involving conversion between potential and kinetic energy, that lead to E=mc². These experiments involve some kind of object that isn't moving (though there might be internal motion that doesn't figure in the experiment) and therefore has no kinetic energy and only potential energy, turning into some things that have kinetic energy. The requirements of strict conservation of total momentum and total energy prove the equation. Einstein's famous derivation involved light instead of tangible objects, but the result is the same. Because the change in mass arising from a given release of energy is so small ( , which 1.11 x 10−17 kilograms per joule), it is essentially impossible to check this equation for normal processes. For example, a flashlight battery loses about 1 picogram of mass when it discharges, and the resultant atoms from the detonation of 1 kilogram of TNT weigh 47 nanograms less than the TNT. Even if all the particles of smoke and gas could be collected reliably, the difference couldn't be detected. Measuring the effect requires process that release vastly more energy than ordinary chemical processes. The discovery of Radium and Polonium around 1898 gave a tantalizing hint that there were processes that released far more energy than chemical processes could account for. These elements continuously released measurable heat, and also glowed in the dark. Einstein touched on this possibility in his original 1905 paper. It would take more than a decade to develop an understanding of the nuclear process involved. The first thing that was required was accurate knowledge of atomic weights. Atomic weights of the various elements were first measured, with accuracy of a few decimal places, by J. J. Berzelius in the late 1820s. This required extremely painstaking (for the time) measurements. The figures were refined to even more accuracy by J. A. R. Newlands in the 1860s. The values were accurate enough to clearly show the rather interesting property that the atomic weights were nearly integers, but not exactly so. The reason for this would turn out to be partly because of different isotopes (discovered by Frederick Soddy in 1913) and partly because of E=mc2. Accurate ways of measuring speed of a charged particle, by deflecting it in a magnetic field, had been developed by then, so that, by very painstaking observation and measurement, it was determined that the first alpha particle (Helium nucleus) had an energy of 4.78 MeV and the second an energy of 5.49 Mev. This confirmed E=mc2 up to the accuracy of the measurements. The equation, along with knowledge of isotope mixes, now explained why the atomic weights appearing in the periodic table were nearly integers, but not exactly so. Around 1925, the development of the mass spectrograph, by Francis Aston, made it possible to measure atomic weights to extreme precision. In the decades since, nuclear transmutations have been performed, in particle accelerators, all over the periodic table, observing in detail the properties of various isotopes. These have confirmed E=mc2 with great precision. See Quantitative Analysis of Alpha Decay. Perhaps the most precise direct empirical verification of E=mc2 was done in 2005 by Simon Rainville et. al. The article states that "Einstein's relationship is separately confirmed in two tests, which yield a combined result of 1−Δmc²/E=(−1.4±4.4)×10−7, indicating that it holds to a level of at least 0.00004%. To our knowledge, this is the most precise direct test of the famous equation yet described." This experiment is not one of the ones usually cited as validating E=mc². That was not its goal. The generally accepted important tests of this equation are the measurements of alpha decay energies, described above. In 1932 English physicist John Cockcroft and Irish physicist Ernest Walton performed the first artificial nuclear transmutation of nuclei, for which they were awarded the 1951 Nobel Prize in physics. The award was for "their pioneer work on the transmutation of atomic nuclei by artificially accelerated atomic particles." Verifying E=mc² was not the goal of the experiment, and the Nobel prize was awarded for the transmutation itself, not any verification of the equation. This experiment could not have proved any general truth to the equation, since it was a test of just one specific reaction. But data from this experiment was consistent with the equation for the particular transmutation involved. The Theory of Relativity played no role in this work, but proponents later tried to retrofit the theory to the data in order to explain the explain the observed mass changes. Here is the most famous example of the mass change. Nuclear fission, which is the basis for nuclear energy, was discovered in experiments by Otto Hahn and Fritz Strassman, and analyzed by Lise Meitner, in 1938. The insight that the conversion from Uranium to Barium was caused by complete fission of the atom was made by Lise Meitner in December, 1938. She had the approximate "mass defect" quantities memorized, and so she worked out in her head, using the E=mc² equation, that there would be this enormous release of energy. This release was observed shortly thereafter, and the result is nuclear power and nuclear weapons. Here is another example of the use of this formula in physics calculations. In 2011 there were reports that high-energy neutrinos had been observed traveling at a speed faster than the speed of light in an experiment at the Gran Sasso laboratory in Italy. Specifically, they seemed to have arrived at the detector 60 nanoseconds faster than light would have. Relativity doesn't allow that, and, since neutrinos have nonzero (but incredibly tiny) mass, they aren't even supposed to travel at the speed of light. The mass of a neutrino is about 0.44x10−36kilograms. (Normally all of these things are measured in more convenient units such as Giga-electron-Volts, but that makes implicit use of E=mc2. If we don't accept that, we have to do the calculations under classical physics, using SI (meter/kilogram/second) units.) The neutrinos were accelerated to an energy of about 17GeV, or .27x10−8Joules. If one did not accept relativity and had to use classical physics and the classical formula , one would get v=110x1012 meters per second. This is about 370,000 times the speed of light, something that scientists would certainly have noticed. In fact, with special relativity, the speed is just under the speed of light, such that the neutrinos should be received at the detector about .26x10−24 seconds (.26 yoctoseconds) later than the speed of light itself. This is far too small to measure—15 orders of magnitude smaller than the resolution of the GPS signals in the experiment. Later reports started to resolve the mystery, and it is now accepted that the neutrinos behaved properly. But a BBC reporter made the incorrect statement that the neutrinos travelled at precisely light speed. This was a simple misstatement, by .26 yoctoseconds. The issue was discussed at length at Conservapedia. While the equation was historically developed on theoretical grounds as an inevitable consequence of special relativity, it is possible to deduce it purely from empirical observation. So, for the purposes of this section, imagine that one is in the era of "classical physics"; prior to 1900 or so. Relativity has not been invented, but, inexplicably, nuclear physics has. Imagine that the phenomena of radioactivity and nuclear fission have been observed, without any knowledge of relativity. In all interactions, mass is precisely conserved. For example, the mass of a TNT molecule is 227.1311 Daltons, or 227.1311 g/mol, which is, for all practical purposes, the same as the mass of its constituent Carbon, Hydrogen, Nitrogen, and Oxygen atoms. It is essentially impossible to measure the difference. The principle of conservation of mass is upheld. But when nuclear phenomena are discovered, we notice something different. The masses of the result particles after an event (e.g. alpha decay, nuclear fission, or artificial transmutation) is measurably less than the masses of the original particle(s). With the invention of the mass spectrometer around 1920, it became possible to measure atomic weights of various isotopes with great precision. Radium-226 decays into Radon-222 by emission of an alpha particle with an energy of 4.78 MeV. 1 kg of Radium-226 = atoms. (The numerator is Avogadro's number, and the denominator is the atomic weight of Radium-226.) This is 2.6643647 * 1024 atoms. That number of Radon-222 atoms has mass .98226836 kg. That number of alpha particles has mass .01770863 kg. The mass lost is .00002301 kg. Each emitted alpha particle has energy of 4.78 MeV, or 4.78 * .1602 * 10−18 Joules. The total alpha energy from the decay of 1 kg of radium is 2.04 * 1012 Joules. Also, Radon-222 decays into Polonium-218 by emission of an alpha particle with an energy of 5.49 MeV. 1 kg of Radon-222 = atoms. This is 2.7124611 * 1024 atoms. That number of Polonium-218 atoms has mass .98194467 kg. That number of alpha particles has mass .01802830 kg. The mass lost is .00002703 kg. Each emitted alpha particle has energy of 5.49 MeV. The total alpha energy from the decay of 1 kg of polonium is 2.39 * 1012 Joules. In all "ordinary" interactions, mass is precisely conserved. In nuclear interactions, there is a small but measurable loss of mass. By the way, we can clearly see that atomic weights of pure isotopes are not integers, and that it has something to do with the energy released by nuclear disintegration. In retrospect, the formula E=mc² explains the non-integer character of atomic weights. Making special cases like this is unsatisfactory, of course. We plot these, and a few others, not shown, on graph paper, and find to our amazement that the relationship is linear. If this is linear, the mass defect for TNT would have been .47 * 10−10. We couldn't possibly have measured this. In all interactions, there is a loss of mass, equal to about .113 * 10-16 kg per Joule of energy released. What we thought was exact conservation is just very nearly exact, and we hadn't been able to measure it before. In all interactions, there is a loss of mass, equal to times the amount of energy released. We don't have to give the units any more, since everything is now dimensionally correct. where "c" was the known velocity of light. He also showed that his equations predict electromagnetic waves, propagating at that speed. ↑ 3.0 3.1 3.2 Five lectures at Wikiversity. The 4th one derives the formula, using the assumptions in the "What the Equation Means" section. ↑ The formula asserts that the mass of an object has energy associated with it, even when it is not moving (p=0). The formula asserts a relationship between the rest mass of an object, its energy and the speed of light. According to the formula, the apparent mass of an object depends on its energy and so conservation of mass is not satisfied. Instead, relativity proposes that the total energy of a closed system is conserved, when we "convert" the masses into energies using this formula. ↑ Quantum Electrodynamics describes how matter interacts with matter, the standard model of particle physics describes how matter (fermions) interact with bosons (force carriers) for the electromagnetic, strong and weak forces. To date, no theory has been proven to unify gravity with electromagnetism. ↑ Much of 20th century physics has centered around the interactions between photons (light) and fermionic matter, and much more than a billion dollars has been spent on this. But that doesn't imply that they have been "unified". ↑ Peter Tyson The Legacy of E=mc² October 11, 2005. PBS NOVA. ↑ Not so. The energy of the atomic bomb comes not from E=mc², but from the tension between the electrostatic force and the strong nuclear force. E=mc² simply meant that the fission products from the Hiroshima bomb weighed 0.7 grams less than the original Uranium. ↑ Isaacson, Walter (2008). Einstein: His Life and Universe (New York: Simon and Schuster), p. 390. Retrieved from GoogleBooks archive on February 19, 2015. ↑ Actually, the formula E=mc2 was published in 1905, and has not changed since then. Fission of Uranium was discovered in 1938. It is not possible that the equation was retrofitted to explain this discovery. This page was last modified on 9 April 2019, at 06:30. This page has been accessed 248,443 times.